Inside the file we will place mutations. We need to import the GraphQLObjectType and GraphQLObjectType Objects from the GraphQL library. Import the gadget mongoose Model. After importing the stuff we need, we can go on about creating the mutation. A Mutation is just a plain GraphQLObjectType like the query we had before. It has two main properties we’re interested in. The name of the mutation is what appears in the graphiql docs. Fields is where we can place our mutation logic. Notice I added a new object inside the fields object. It’s called addGadget and it would do exactly what it says it will do. Inside the addGadget we have access to three properties, type, args, and resolve(). The addGadget type will be gadgetGraphQLType. The gadget can only have properties which are allowed in the gadgetGraphQLType type we declared earlier. Addgadget is query which accepts arguments. The arguments are needed to specify which gadget we want to add to our database. We declare up-front which arguments the query accepts and the types of the arguments. 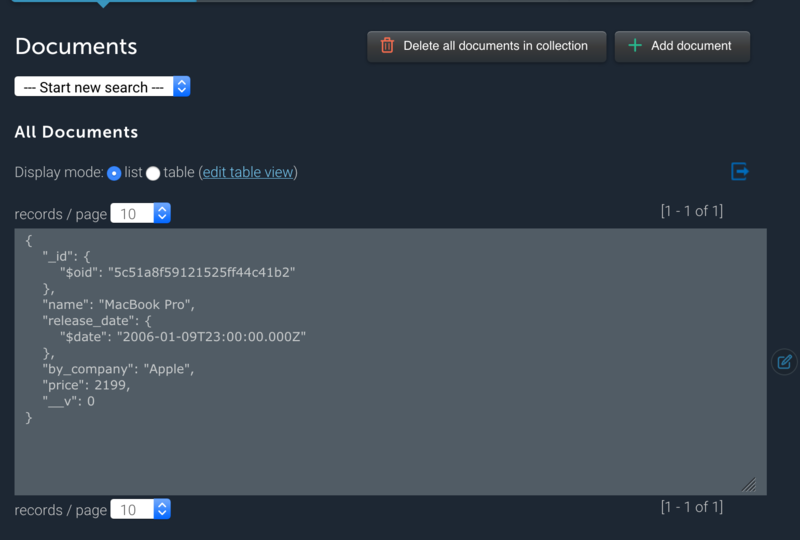 Lastly–what happens with the query? Which precisely why we have the resolve() function. Remember the resolve() function has two arguments– parent and args. We’re interested in the args since these are the values we pass to our query. Inside the resolve we place the logic for creating a new mongo record. We create a new instance of our Gadget mongoose model, pass the props we receive from GraphQL as new fields, and finally save the record. Voila! All we need to do is import the mutation to our schema.js file. 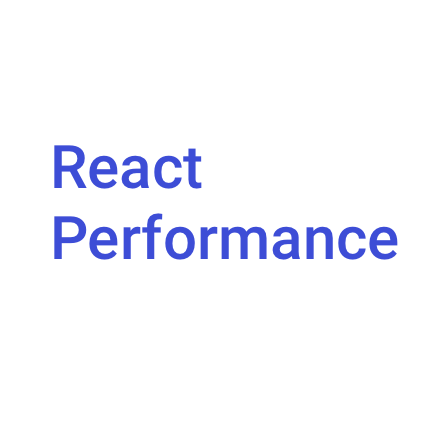 If everything went fine, this is what we should see on our graphiql. Notice how GraphQL creates automatically self-documentation. This is why we have such strong typing. 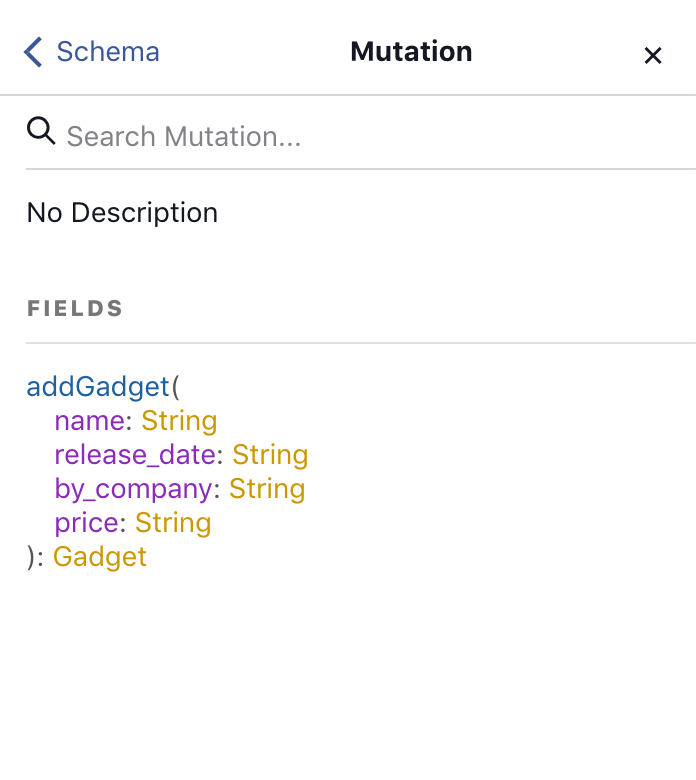 A mutation is just a plain graphQL query which takes our arguments, saves it to the mongo database, and returns the properties we want. Voila! We successfully created and inserted a new gadget to our mongo database. If you head over to mlab or whatever provider you’re using– you should see the new record. Here’s the complete query for our mutation. What if we want to edit pre-existing records? Surely we can’t rely on never making a typo, or what if the price changes. Editing a record is also a mutation. Remember, every time we want to change/add a new record– it’s a graphql mutation! 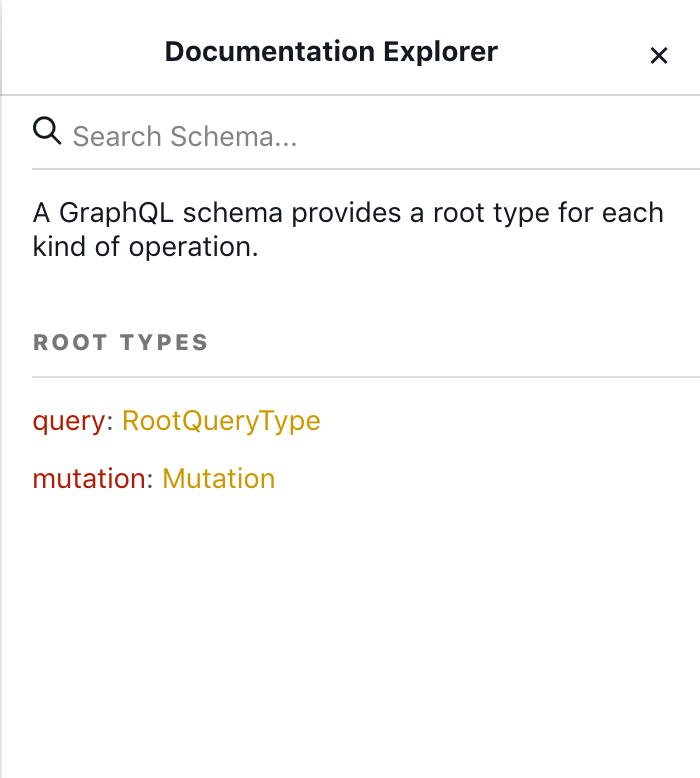 Open the graphql/mutations file and create another mutation. Mutation is just a plain object. Notice the new mutation called updateGadget. It’s pretty much a replica of the previous mutation. Notice on extra argument, the id– That’s because we need to find the existing gadget and change it. We can find the gadget by id. The resolve() function is where it gets more interesting. Ideally we want to find the gadget by id, change the props, and save it. How would we go on about doing this? Mongoose gives us a method to do this, called findById. This returns a promise. If we console.log the promise, we can see a huge blob of properties attached to it. What we can do with the promise is chain it with a then() method. If promises are a stranger, check out this article I wrote. Like so; we find the Gadget, change the props, save it. But this returns another promise which we need to resolve. .catch() for error handling incase we run into errors. Remember, you can monitor your pm2 logs via the pm2 logs command. If you run into errors, these will be logged to the pm2 logger. That’s all! Query time! Look at your mongo table and pick a random id from there and edit the corresponding gadget. And if we inspect the database; we should see the edited record. Here’s the query for the updateGadget mutation. Okay, good job for making it this far. So far we have the Create, Read, Update, but we’re missing the final d(elete). Deleting a record from a mongo database is quite straight-forward. All we need is another mutation, since we are, in fact mutating the database. Deleting the record just takes one argument, the id. We find the gadget by ID, delete it, and return it. If there’s an error, we’ll log it. note: Make sure the id is correct and exist in the database, otherwise it won’t work. If we head over to our database and inspect it – indeed the record got deleted from our database. Well done, we have achieved basic CRUD functionality. Notice how GraphQL is a thin layer between our database and view. It’s not supposed to replace a database, but rather make it easier to work with data, fetching, and manipulating. I’ll see you at part 3 where we’ll do more cool stuff!